This BuckLite Max model offers a fixed blade version of the popular BuckLite folding knife. 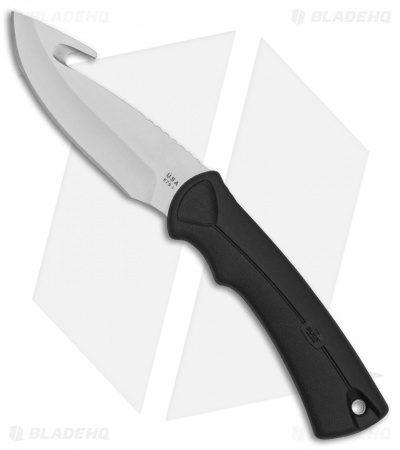 The large sized model features a 4" blade with integrated gut hook and an overall length of 8.75". It offers the same reliable handling of the original, with a rubberized handle for improved grip. Large finger grooves provide a comfortable, safe hold for tough cutting jobs. 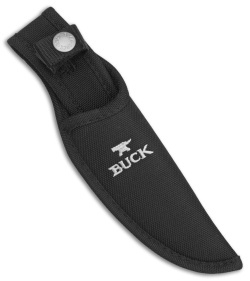 The BuckLite Max includes a nylon sheath with a belt loop and button clasp.